A SDL c'est un tomorowland. Tron étant en plus un Disney pur et dur de base, il s'intègre parfaitement ... Je n'ai jamais dis le contraire. J'insistais plus sur le fait, que des super héros extérieurs au monde Disney d'origine dans un land rétro futuriste, alors qu'une intégration plus adapté est prévu dans le park voisin serait juste hautement ridicule. Il est en de meme pour Pixar, L'intégration est prévu aux WDS. Non pas qu'il faut les bannir des MK, mais il ne faut pas abuser de leurs présence dans le MK de notre resort si leurs place est aux WDS. Pourquoi créer des attractions a moindre cohérence dans notre MK quand un meilleur résultat d'intégration est possible juste a coté. Mérida n'est là qu'en character c'est une autre histoire, et là c'est beaucoup moins problématiques. 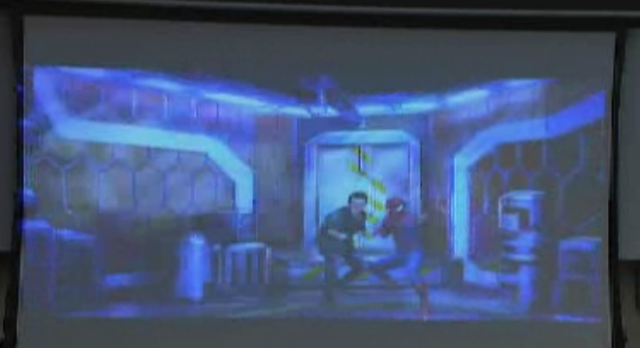 Ici on parle de zone et de rides sur Marvel dans un MK quelque chose qui selon moi est adapté peut etre a HKDL mais pas dans notre Disneyland park. Donc Star Tours n'était pas intégré à Tomorrowland de Disneyland Park (Disneyland Resort) en 1987 ? Star Wars n'appartenait pas à Disney à l'époque. Le fond de Disco n'est de toute façon pas prévu pour Marvel, à la limite Star wars land, donc inutile de fantasmer. Ben c'est a dire que DCA n'existait pas à l'époque, ils allaient pas mettre ST sur le parking. Pareil pour DisneySea. Cela n'a pas empêché Disney d'exploiter la licence mais c'est pas une raison pour généraliser. So much has been said about the Shanghai Disneyland project that it became an anti-climax when the full details were announced last week. That the theme park will carry strong Chinese characteristics is unsurprising. It boasts a few "firsts", including a unique pirate-themed land and the biggest castle ever built by the US entertainment giant. The gimmicks are to be expected for the first major American theme park on the mainland. The announcement raised the inevitable question: will Hong Kong Disney lose out? The perceived threat from the Shanghai park has long been an issue of concern. Not only is the younger brother bigger in terms of size, its Chinese heritage is also richer. For instance, there will be a garden featuring the 12 Chinese zodiacs in Disney characters. The musical Lion King will also be performed in Putonghua for the first time. Mainlanders accounted for 48 per cent of the 7.5 million visitors received by the Hong Kong park last year. 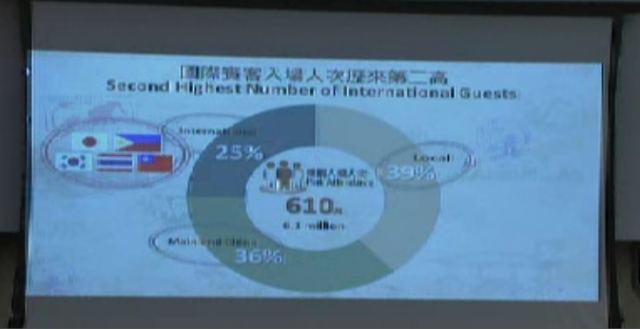 But local and international visitors still form the majority. The company is to continue marketing and sales promotions in all markets. More attractions are also in the pipeline to enhance the park's competitiveness. These include a new themed area based on Marvel's Iron Man and a new hotel, to be opened next year and in 2017 respectively. Discussions with the government on phase two development have also begun. Hong Kong Disney is not alone in facing competition. Other industries in the city also risk lagging behind whenever places elsewhere roll out bigger and better initiatives. In an increasingly competitive world, adaptation is crucial. Companies need to diversify and innovate in order to survive. The US has had a Disneyland on each side of the continent for decades and there does not seem to be any concern. If a small city like Hong Kong can accommodate Disneyland and Ocean Park, there should be more than enough room for two Disney theme parks in a country as big as China. The rise of Shanghai Disney does not necessarily spell the demise of Hong Kong's park. One country, two Disneys can be a success. SCMP - 24 juillet 2015. The six-year mega upgrade will see the park increase its attractions from 110 to 130 between 2018 and 2023, and is expected to create 5,000 to 8,000 jobs across the ­tourism industry. As the Lantau theme park’s largest shareholder, the ­government will inject HK$5.8 billion – subject to Legislative Council ­approval – while the rest will be covered by the Walt Disney ­Company. Commerce Minister Greg So Kam-leung played down concerns about the difficulty in securing funding from a deeply divided legislature, insisting it was “the right time” to expand for the sake of long-term tourism development. So urged lawmakers to look at the “big ­picture” and approve the spending of public money. Despite dwindling tourist numbers, So expects the park’s new offerings to help attract up to 9.5 million visitors annually by 2025, up from 6.8 million in 2015. The expansion comes after the park’s first descent into the red in five years and large-scale layoffs earlier this year. It lost a total of HK$148 million last year, while the number of visitors dropped 9.3 per cent. The facelift will involve a major renovation of the park’s iconic Sleeping Beauty Castle, which is expected to shut down next year and reopen in 2019, Disney design executive Doris Woodward told the Post. It will offer two new day and night shows upon completion. 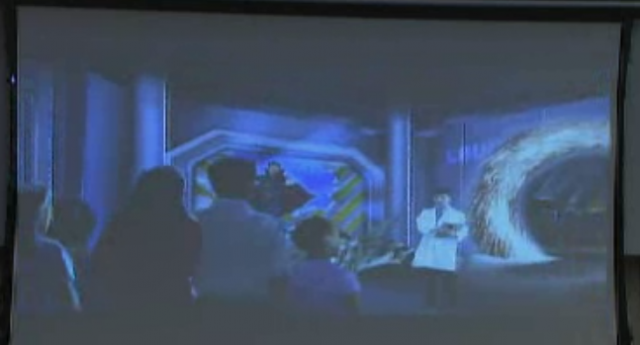 Superheroes from the Marvel comics series will arrive at the park in phases, with the first attraction, “Iron Man Experience”, launching in January next year, with more to come, Woodward said. The city’s tourism industry welcomed the upgrade, expecting a boost for Hong Kong. “Developing attractions is a long-term investment. We need to be ready before the opportunities emerge,” Travel Industry Council chairman Jason Wong Chun-tat said. Apart from the tourism downturn, which saw the number of visitors dip 6.1 per cent in the first nine months of the year, it is also facing stiff competition from its mainland counterpart. Shanghai Disneyland – which opened in June – has been flooded with visitors. The mainland park is three times bigger, but ticket prices are similar to those charged in Hong Kong. Just four months after its opening, Shanghai Disneyland has already started expansion with a new themed area. “Toy Story Land”, based on the hit animation film franchise Toy Story, is expected to open in 2018. The company sees it as an indication of Shanghai Disneyland’s early success in the Chinese market. An additional 3 sq km has been earmarked for expansion. Disney will brief lawmakers on Monday in an attempt to lobby enough support for the funding. Holden Chow Ho-ding, vice-chairman of the pro-establishment DAB party expressed support for the expansion, ­expecting it to attract more ­tourists to the city, but the pan-democrats raised concerns. “The attractiveness of the park is not as good as before, and it will face competition with Shanghai opening a new Disney Park. Its competitiveness is lower than Ocean Park,” lawmaker Wu Chi-wai said, doubting whether new attractions would improve the park’s operational situation. The Civic Party’s Alvin Yeung Ngok-kiu was concerned that ­Disneyland might feel the pressure to increase its admission fees in the future, resulting in fewer ­locals visiting the park. 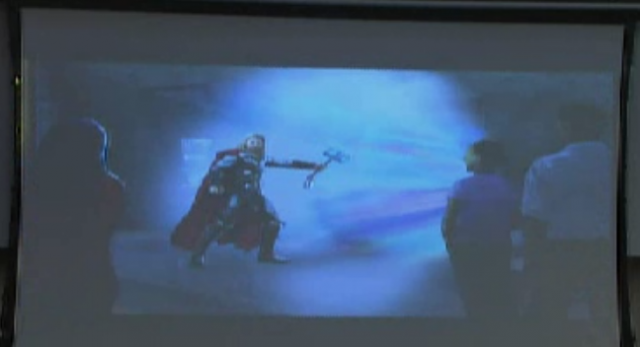 Lawmaker Jeffrey Lam Kin-fung noted that Marvel heros are popular among youngsters. He said the expansion would be a unique global attraction which would bring new sources of tourists into the city and increase the number of overnight stayers. SCMP - 22 novembre 2016. Even before the world’s smallest Disneyland officially opened in Hong Kong on September 12, 2005, there were plans for the theme park to eventually expand. After 11 years of operation, a major new facelift has been announced. While the need for further development is beyond doubt, the question is how to go about it. With a price tag of HK$10.9 billion – more than half of which is to come from the public coffers – taxpayers have to be fully convinced that the investment will be worthwhile. The figures provided by Disney and the government appear to be reassuring. The number of attractions will increase from 110 to 130 between 2018 and 2023. Visitor numbers are expected to grow from 6.8 million last year to 9.5 million by 2025. Up to 8,000 jobs will be created across the tourism industry following the upgrade. The total economic benefit could reach HK$41.6 billion over a 40-year period. Only time will tell whether the numbers are correct. If history is any guide, officials tend to be overly optimistic. During the early years, the theme park was struggling to meet some its business targets. It fell into the red again earlier this year, and some staff had to be laid off. The future is further clouded by competition from its Shanghai counterpart, which has just announced an ambitious expansion plan of its own just months after its opening in June. Its impact and that of other theme parks in the region on Hong Kong Disneyland cannot be ignored. As the major shareholder in the venture, the government has a role to play in the expansion. But the public is also entitled to ask whether there are alternative financial arrangements. In the previous expansion, the government contributed its part through converting an old loan into equity in Hong Kong Disneyland, effectively sparing taxpayers from committing new capital. 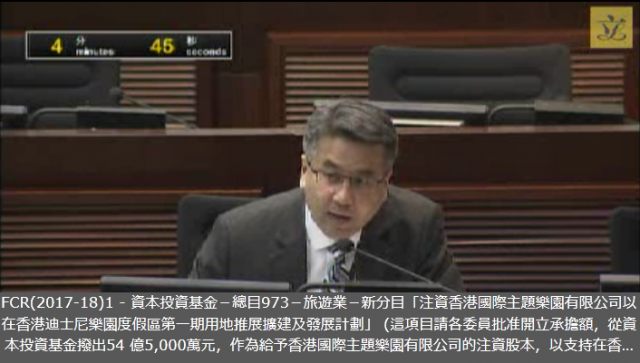 This time, the government is to ask the Legislative Council to approve an injection of HK$5.8 billion. The funding request will no doubt be carefully scrutinised by Legco. This is, after all, the constitutional duty of lawmakers. While officials can expect a tough sell, it should not become ammunition for filibustering in the legislature. The success of theme parks lies in their ability to attract new customers and repeat visitors. Whether superhero Iron Man and Elsa the Snow Queen can work their magic remains to be seen. But being bigger does not necessary mean being better. The real challenge is to stay profitable in the increasingly competitive world of entertainment. A clear direction and sound business strategy will go a long way towards garnering public support. SCMP - 23 novembre 2016. A government injection of HK$5.8 billion to Disneyland’s expansion scheme is more viable than a commercial loan which could ­incur HK$300 million in interest every year, said commerce minister Greg So Kam-leung defending the use of taxpayers’ money. 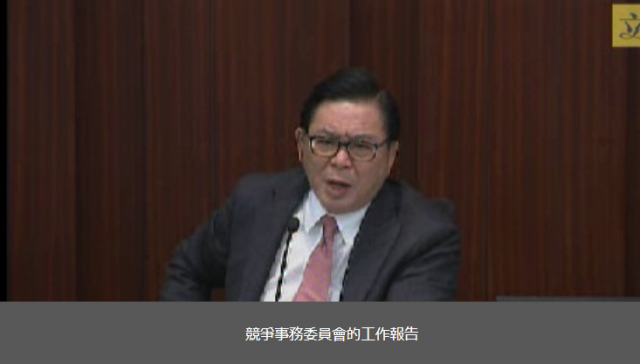 Speaking on RTHK yesterday, So said the HK$10.9 billion project had been well received by lawmakers, with whom the government had had “very constructive” dialogue in the past week. “All have the best interest of Hong Kong in mind and I hope that Legislative Council members would share this view and support this project,” So said. The six-year expansion, due to start in 2018 will feature zones based on blockbuster Frozen and Marvel superhero films, as well as the transformation of Sleeping Beauty Castle. As the Lantau park’s biggest shareholder, the government – which holds 53 per cent of the shares – will foot more than half the bill of its mega upgrade. It is subject to Legco approval. Despite criticism the city has given too many benefits to the park with Hong Kong taxpayers’ money, So said a capital injection was already the best approach to fund this much-needed facelift amid stiff regional competition. Back in 2009, the government had to convert HK$6.25 billion worth of loans to Disneyland into equity upon agreement in principle of a five-year expansion. That was on the top of HK$3.25 billion investments the government made in 1999 to build the park. The commerce minister who has been tasked with promoting tourism in the city said the government would continue to expand the park and this upgrade was only part of a larger strategy to fend off fierce competition. At least 10 theme parks are scheduled to open in the mainland, Japan and South Korea and Indonesia and Malaysia between next year and 2020. So estimated the HK$10.9 billion expansion together with the completion of the cross-border bridge linking to Macau and Zhuhai, will help attract up to 9.5 million visitors each year by 2025 – up from 6.8 million in 2015. SCMP - 26 novembre 2016. Lawmakers from across the political spectrum on Monday questioned the justification for injecting HK$5.8 billion of taxpayers’ money into Hong Kong Disneyland’s expansion project, with some urging the city to diversify its tourist offerings. But commerce minister Greg So Kam-leung cited the government’s control of the Lantau park through 53 per cent of its shareholding, insisting that the authorities must “have a say” in the park’s future development. The administration had no plans to reduce its stake or exit the investment, he added. 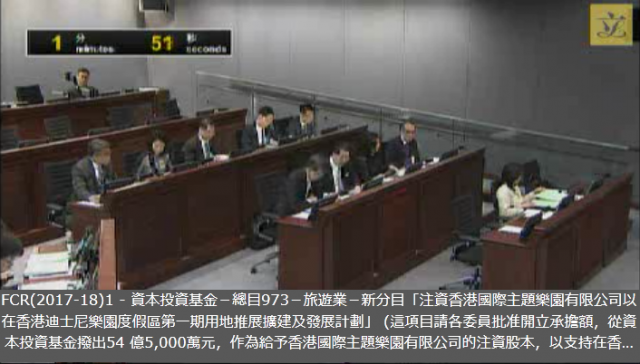 The three-hour panel discussion in the Legislative Council was the first time the government had presented the HK$10.9 billion expansion plan to lawmakers. “The future development of Disneyland will have to be coordinated with the government’s policies to promote tourism,” So said. This could create job opportunities and boost business for retailers, hotels and restaurants. “We think it is necessary for the government to reserve the discourse rights on the development of the park,” he said. The commerce secretary’s explanation was challenged by both pro-establishment and pan-democratic lawmakers, with many doubting if any decision on the park had ever gone in favour of the government rather than Disney. Other lawmakers urged the government to equally distribute its funds to diversed tourism projects, especially those with local features. “You can’t put all your eggs in the same basket ... How much has the government invested in other tourism projects?” asked the Federation of Trade Unions’ Luk Chung-hung, whose motion to establish a government-led fund to subsidise attractions with local features was also passed at the panel meeting. “The problem of Hong Kong is it needs more diversity,” said Professor Brian King, associate dean at Polytechnic University’s School of Hotel and Tourism Management. He said the Lantau park was one of the city’s cutting-edge tourism attractions compared with many regional rivals and should be constantly renewed. With the government being the biggest shareholder, it would be easier for it to develop Lantau Island in the future, King said. The six-year expansion, due to start in 2018, will feature zones based on the blockbuster Frozen and Marvel superhero films, as well as the transformation of the iconic Sleeping Beauty Castle. So estimated that the expansion, together with the completion of the cross-border bridge to Macau and Zhuhai, would help attract up to 9.5 million visitors a year by 2025 – up from 6.8 million in 2015. SCMP - 28 novembre 2016. New People’s Party deputy chair Michael Tien puk-sun says he will not support Disneyland’s HK$10.9 billion expansion plan in the Finance Committee unless the government negotiates a better deal. This came a day after lawmakers from across the political spectrum grilled the government and demanded justification for injecting HK$5.8 billion of taxpayers’ money into Hong Kong Disneyland’s expansion project. A non-binding motion submitted by Tien to delay the expansion plan was passed by members of the Legislative Council economic development panel – a bipartisan feat which Tien said he was “surprised” to see happen. Speaking in a Commercial Radio interview, the fashion chain owner said the theme park had on the whole been beneficial to Hong Kong, but an “unequal treaty” between the park and the government – its biggest shareholder –had to be renegotiated. At issue was the failure of the government over the years to achieve more bargaining power with its 53 per cent stake, including on operational matters such as pricing. Tien also believed the HK$50 million in management fees the park paid – revised in 2009 to six per cent of its earnings before interest, tax, depreciation and amortisation or EBITDA – was too disproportionate to the royalties paid to the Walt Disney Company, estimated to be in the area of HK$200 million. Hong Kong Disneyland has never disclosed the amount of royalties paid to the Burbank, California-based global media and entertainment conglomerate. “Royalties are not linked to profit but linked to turnover. If there are more visitors, this will go up. But who will gain most from this $11 billion investment? It has to be Disney,” he said. Tien urged the government to bargain for a cap on the management fee and royalty payments, which would be deferred to balance the books in the event of a loss. He also said there was no rule that the government always had to have more than 50 per cent of the park’s shares and suggested lowering its stake progressively. “Should they refuse to change the terms, I would recommend the government halt investment. Disneyland will most likely not be able to get it past their board and will have to wait for another day,” Tien said, adding that it was questionable to make expansion plans when the economy and tourism industry were in a downturn. On Monday, commerce minister Greg So Kam-leung insisted that the authorities must “have a say” in the park’s future development and that the administration had no plans to reduce its stake or exit the investment. “The future development of Disneyland will have to be coordinated with the government’s policies to promote tourism,” he told lawmakers. The six-year mega upgrade will see the park increase the number of attractions from 110 to 130 between 2018 and 2023, and is expected to create 5,000 to 8,000 jobs across the tourism industry. SCMP - 29 novembre 2016. Secretary for Commerce and Economic Development reveals theme park can only take up to HK$4 billion in commercial loans – hardly enough for mega upgrade. Commerce minister Greg So Kam-leung continued to defend the proposal to inject HK$5.8 billion of taxpayers’ money into Hong Kong Disneyland’s expansion project, revealing on Wednesday the debt burden of the theme park only allowed it to take up to HK$4 billion in commercial loans – less than half the total cost of the upgrade. So told lawmakers at the Legislative Council meeting that the Lantau park needed to be constantly updated to attract visitors from abroad and at home amid fierce competition in the region – even if it meant a bigger bill for taxpayers. The six-year HK$10.9 billion facelift, due to start in 2018, will feature zones based on the blockbuster Frozen and Marvel superhero films, as well as a transformation of the iconic Sleeping Beauty Castle. As the theme park’s biggest shareholder, the government – which owns a 53 per cent stake – is planning for a cash injection of HK$5.8 billion into the project. So revealed that the outstanding debt of the Hong Kong joint-venture between Walt Disney Company and the government had reached HK$2.3 billion by the peak of the 2016 financial year. This meant the company would only be allowed to take HK$4 billion in unsecured loans from the market. “It will not be enough,” So said. Even if the theme park managed to secure a HK$10.9 billion loan, it would incur HK$300 million in interest every year, So said, based on the 2.6 per cent interest rate on a loan for the park’s third hotel project. “We think the cash injection works best for the long-term financial performance of the joint venture,” he added. But when asked by Democratic Party lawmaker Wu Chi-wai if the government has conducted an in-depth financial analysis on options such as equity injections or other forms of loans, So did not give a detailed response at the meeting. According to So, the park expansion, together with the completion of the cross-border bridge linking to Macau and Zhuhai, is expected to help attract up to 9.5 million visitors each year by 2025 – up from 6.8 million in 2015 – and create 5,000 to 8,000 jobs across the ­tourism industry. SCMP - 14 décembre 2016. Le point sur la situation a été fait lors du dernier Conseil législatif consacré au développement économique que j'ai suivi hier. Un peu plus d'une heure a été consacrée au resort avec un retour sur l'année fiscale écoulée et le futur envisagé pour la destination. Le nouveau plan de développement du Parc Hong Kong Disneyland (2018-2023) présenté en novembre dernier n'a toujours pas obtenu l'approbation du Comité financier du Conseil législatif de la région administrative spéciale de Hong Kong au sujet de son financement. L'accord négocié par The Walt Disney Company et le Gouvernement de Hong Kong requiert de la part de ce dernier un investissement de 5,8 milliards de dollars de Hong Kong. Ses détracteurs s'opposent à une nouvelle utilisation de l'argent public en faveur d'un "parc d'attractions" et remettent maintenant en question les frais de gestion et de redevance (royalties) versé à l'entreprise américaine. La Ministre du Tourisme leur a rappelé que l'entreprise (HKDL) base - tout comme les resorts japonais, français et chinois - l'entièreté de son activité sur une propriété intellectuelle dont elle ne possède pas les droits ce qui justifie ces frais de gestion et de redevance. L'opposition demande une renégociation à la baisse des frais de gestion et de redevance sous réserve de continuer à bloquer la validation du projet de financement et ainsi suspendre la mise en chantier des nouvelles attractions de Fantasyland, Tomorrowland et Adventureland, une motion a été déposée dans ce sens. Une seconde motion visant à reporter/retarder l'exécution de la nouvelle phase de développement à également été déposée dans la foulée. Interrogée, la Ministre du tourisme a reconnu qu'il n'existait pas de "plan B" si le Comité financier venait à refuser le financement du plan de développement et que cela serait dommageable pour le resort et ses futurs résultats. Vu l'incertitude concernant le financement de l'expansion, certains élus ont suggéré que les terrains (actuellement) inutilisés prévus pour la phase deux (second parc à thème) soit remis à disposition car ceux-ci risques de ne pas être utilisés avant longtemps, un second parc à thème requérant un financement bien plus conséquent que l'expansion 2018-2023. Plusieurs acteurs du secteur touristique seraient intéressés par ces terrains et garantiraient une réalisation plus rapide. Il y a aussi des entrepreneurs qui ont fait part de leur intérêt pour bâtir de nouveaux logements sur l'île de Lantau. Autrement, si la fréquentation a baissée en 2016 (de 6,8 à 6,1 millions de visiteurs), le taux d'occupation des deux hôtels Disney est équivalente à l'année 2015 soit 79%. Le dépense moyenne par visiteur a, à nouveau, augmentée et ce pour le septième année consécutive (+4% en 2016). La répartition des visiteurs a connu une légère modification. Les visiteurs locaux représentent toujours 39%. Si la représentation des visiteurs originaires de Chine Continentale est passé de 41 à 36%, les visiteurs internationaux représentent dorénavant 25% du total (contre 20% l'année précédente), ceux-ci sont essentiellement issus d'Asie du Sud-Est (Japon, Thaïlande, Corée du Sud, Philippines, Taïwan, Singapour, Malaisie, Indonésie...). Suite au succès de l'attraction Iron Man Experience, le resort développe une nouvelle saison axée sur les Super Héros Marvel avec la participation de Iron Man, Spider-Man, Captain America, Black Widow, Thor, Doctor Strange, Hawkeye et Star-Lord ! Samuel Lau, directeur général de Hong Kong Disneyland Resort. je sais pas si j'ai le droit de rire. ça s'annonce super mais les dates et certain "détails" coûteux vont peut être modifié.. Par contre je comprend pas bien la phrase où ils parlent de DLP, est ce qu'on pourrait m'expliquer svp ? DLP n'appartient pas à 100% à TWDC (pour le moment) tous comme SFR et TDR. C'est très simple : les resorts japonais, français et chinois sont des entreprises de droit japonais, français et chinois qui basent tous l'entièreté de leur activité commerciale sur une propriété intellectuelle dont elles ne possèdent pas les droits (ces droits appartiennent à The Walt Disney Company et ses filiales Pixar, Marvel, Lucasfilm, Muppets Holding Company etc...), il est donc tout à fait normal que des frais de gestion et de redevance (royalties) soient perçus pour leurs utilisations respectives. The Walt Disney Company aura été relativement rapide à réagir à la remise en question, par la majorité du Conseil législatif de la région administrative spéciale de Hong Kong, de l'ambitieux plan de développement 2018-2023 présenté en novembre dernier. The Walt Disney Company a proposé de prendre en charge la moitié de l'investissement sous forme d'une augmentation de capital dans Hong Kong International Theme Parks Company, l'entreprise propriétaire de Hong Kong Disneyland Resort. Actuellement le Gouvernement de Hong Kong possède 53 % de l'actionnariat et The Walt Disney Company 47 %. L'investissement total de 10,9 milliards de dollars était réparti en fonction de l'actionnariat soit un investissement de 5,8 milliards pour le Gouvernement de Hong Kong et de 5,1 milliards pour The Walt Disney Company. The Walt Disney Company prendrait maintenant en charge la moitié de la somme totale (soit 5,45 milliards de dollars au lieu de 5,1 milliards de dollars) mais cet investissement supplémentaire de 350 millions de dollars se négocie avec en contrepartie une augmentation de 1 % de son actionnariat. La nouvelle répartition amènerait donc la modification suivante : le Gouvernement de Hong Kong ne possèderait plus que 52 % de l'actionnariat et The Walt Disney Company en posséderait ainsi dorénavant 48 %. En addition, The Walt Disney Company suspendrait la perception des frais de gestion et de redevance variables pour les années fiscales 2018 et 2019. Même si une partie des élus locaux ne sont pas totalement satisfaits avec ces propositions, le Conseil législatif a décidé de transmettre le dossier du plan de développement 2018-2023 au Comité financier du Conseil législatif de la région administrative spéciale de Hong Kong pour obtenir l'approbation de son financement. Le Comité financier du Conseil législatif devrait étudier le dossier dans les prochains jours. Plusieurs élus ont déjà manifesté leur intention de s'opposer jusqu'au bout au plan d'expansion à ces conditions (la cession d'un pourcent de l'actionnariat est jugé raisonnable mais les concessions relatives aux frais de gestion et de redevance ne seraient pas encore suffisantes). Les deux actionnaires devaient participer à l'augmentation de capital au prorata de l'actionnariat soit 47 % pour TWDC. En prenant à son compte la moitié de la somme totale (soit 50%), cela ne représente qu'une différence de 3 % du montant à investir, en l'occurrence 350 millions de dollars HK (soit moins de 42 millions d'euros). Sans oublier qu'avec cette injection de 350 millions supplémentaires, TWDC verra son actionnariat porté à 48 %, ce qui augmentera par la suite sa participation aux bénéfices lorsque le resort sortira du rouge car si TWDC investi de cette manière c'est que son management est confiant quant à l'avenir du resort et la capacité de celui-ci à repasser dans le noir (en terme d'écriture comptable). Au final (et en partant du principe que le resort affichera à nouveau des résultats positifs dans un futur proche), TWDC ne réalise pas une mauvaise affaire avec cette opération et l'acquisition d'un pourcent supplémentaire de Hongkong International Theme Parks Limited (l'entreprise de droit chinois propriétaire de Hong Kong Disneyland Resort) pour moins de 42 millions d'euros tout en valorisant l'entreprise avec le contenu du plan de développement 2018-2023 à venir (si le Comité des finances du Conseil législatif de la région administrative spéciale de Hong Kong approuve de son côté l'investissement). Le dossier est actuellement à l'examen et les représentants des différents partis politiques devraient être amenés à voter dès ce samedi 1er avril en faveur ou contre le financement du plan d'expansion à hauteur de 5,450 milliards de dollars hongkongais. Si le Conseil législatif a levé son veto en début de semaine et transmis le dossier au Comité financier pour approbation, plusieurs élus restent insatisfaits des concessions "mineures" accordées par The Walt Disney Company et ont depuis lundi confirmé leur ferme opposition au financement (à l'aide d'argent public comme le rappellent certains). D'autres sont plus indécis et doivent encore se consulter avant de prendre position. Les principaux reproches concernent les frais de gestion et de redevance. Les documents communiqués par The Walt Disney Company consignent la suspension des frais de gestion variables pour les exercices 2018 et 2019 (les frais de gestion fixes seront toujours dû durant ces deux exercices comptables), mais ils ne font pas états des frais de redevances (royalties) alors que ceux-ci représentent les montants les plus importants payés chaque année à The Walt Disney Company. Les pauvres.. ils ont un sublime plan qui n'est pas prêt de ce lancer..
Petite nouvelle supplémentaire concernant le dossier, The Walt Disney Company a 'libéré" huit terrains appartenant au gouvernement mais bloqués/réservés jusqu'à présent. Il s'agit d'une petite concession supplémentaire suite à une demande émise le mois dernier par le Conseil législatif de la région administrative spéciale de Hong Kong. Le resort n'avait apparemment pas l'intention d'y bâtir quoi que ce soit mais les conservait pour éviter une utilisation "inappropriée" (dixit Disney) et d'éventuelles intrusions visuelles depuis le resort (malgré tout, Hong Kong Disneyland reste protégé pour le moment car une taille maximum pour toutes constructions dans cette partie de l'île fait partie du contrat signé en 1999). Comme je l'avais mentionné lors d'un précédent message, plusieurs entrepreneurs locaux (acteurs du secteur touristique et développeurs immobiliers) sont depuis longtemps intéressés par des terrains sur l'île de Lantau et ils garantiraient au gouvernement une utilisation rapide de ceux-ci. Le gouvernement, qui ferait également une bonne opération financière en cédant ces terrains à d'autres que Disney, a l'intention de réserver ces emplacements à des projets touristiques et des logements (qui manquent cruellement). Les terrains alloués aux futurs second et troisième parcs à thème ne font évidemment pas partie de cette remise à disposition. Le Comité des Finances du Conseil législatif de la région administrative spéciale de Hong Kong a programmé une série de réunions le 31 mars, 3, 5, 6 et 7 avril mais le projet de financement de l'expansion du Parc Hong Kong Disneyland doit être présenté lors d'une réunion spéciale le samedi 1er avril à 8h30. Les membres du Comité des Finances du Conseil législatif de la région administrative spéciale de Hong Kong se sont donc réunis samedi matin. Ils étaient invités à approuver l'investissement de 5,450 milliards de dollars hongkongais pour un nouveau développement dans le cadre de la Phase 1 (=Parc Hong Kong Disneyland). Aux côtés d'une demi-douzaine de représentants du Ministère du Tourisme de Hong Kong (dont Mr Philip YUNG, Permanent Secretary for Commerce and Economic Development (Commerce, Industry and Tourism) et Miss Cathy CHU, Commissioner for Tourism), Mr Samuel LAU (Executive Vice President and Managing Director, Hong Kong Disneyland Resort) et Miss Linda CHOY (Vice President, Public Affairs, Hong Kong Disneyland Resort) représentaient le resort. Tous étaient présents afin de répondre aux questions des membres du Comité des Finances avant de procéder au vote. The Government and TWDC, as shareholders of HKITP, have been discussing the overall development of HKDL, with a view to identifying an optimal strategy that would best serve the interest of tourism development in Hong Kong and that of the joint venture. The experience of HKDL’s operation has demonstrated that new entertainment offerings and attractions are effective in driving the attendance and business of HKDL. To enable HKDL to continue to play to its strength in attracting high value-added visitors from all over the world to Hong Kong and fostering tourism development amidst intensifying competition in the region, we consider that it necessary to roll out a series of new attractions at the Phase 1 site of HKDL. 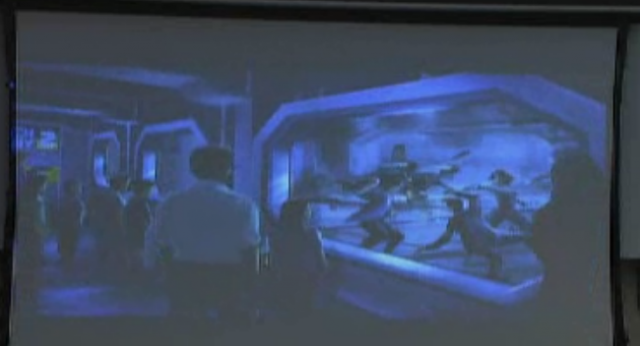 The new attractions will be progressively rolled out, hence sustaining visitors’ excitement and visitation desire. These attractions also represent a good mix of different rides and entertainment offerings (e.g. castle shows, stage shows and character greeting experience), catering for a wide spectrum of guests, including family visitors and young adults. The Plan, when completed, would increase the number of themed areas of HKDL from seven to nine and the number of offerings from about 110 currently to over 130 (an increase of about 18%). (1) The year indicated is target opening date. The actual opening will depend on the timing of securing funding approval, progress of works, and market situation. Le budget proposé est une estimation de la The Walt Disney Company sur base des coûts/tarifs en vigueur en 2014. Si TWDC est confiant quant à la réalisation du plan en respectant le budget proposé, le gouvernement de Hong Kong annonce dès à présent qu'il n'entend pas, en cas de dépassement du budget, prendre en charge ce dépassement. Hongkong International Theme Parks Limited devra chercher et trouver par elle-même les fonds nécessaires pour couvrir le dépassement (càd que The Walt Disney Company devra prendre tout dépassement à son compte). TWDC a marqué son accord pour augmenter l'actuel crédit renouvelable (revolving credit) accordé à Hongkong International Theme Parks Limited de 400 millions à 2,1 milliards de dollars jusqu'en 2023, date prévue de l'achèvement de l'expansion du Parc (cette date peut-être revue en cas de retard du début des travaux suite aux difficultés à obtenir son financement). TWDC a également décidé de mettre à disposition 50.000 billets d'entrée afin que ceux-ci soit offerts aux membres de communautés défavorisées sous forme de loterie (Hong Kong Disneyland Resort a déjà procédé des loteries similaires dans le passé dans le cadre de son programme de charité Disney VoluntEars). TWDC prévoit avec l'ajout des nouvelles facilités, attractions et divertissements, une fréquentation en hausse (de 9 à 9,3 millions de visiteurs pour 2025). (Site development, Area development, Facility construction (including buildings, structures, landscape and other related works), Construction preliminaries (including site surveying, ground investigation, various assessment and other related items). (Show and stage construction and management, Show and stage production (including media, audio/visual systems, special effects, props, show sets, etc. ), Mechanical and electrical engineering works, as well as installations of various facilities related to show and stage. (Works and installation of ride (including ride vehicles and tracks, security, surveillance control systems, as well as support and electrical systems), Purchase of ride and relevant security/surveillance control systems, as well as support and electrical systems). (Design and creative work, Project management/construction management/field costs of construction works, Operational requirements). Entertainment shows (including stage shows, meet-and-greet with Disney characters, and atmosphere entertainment programme), Production and installation of the above items. Le Gouvernement de Hong Kong a mené plusieurs études sur l'impact économique des activités de Hong Kong Disneyland sur le territoire de Hong Kong et conclu que l'impact à long terme est positif en terme d'économie et d'emploi (compagnies aériennes, hôtels, restaurants, commerces, sociétés de transports et autres activités en relation avec le secteur touristique). Les représentants du Ministère du Commerce et du développement économique, du Ministère du Tourisme et de Hong Kong Disneyland Resort. Les termes de l'accord liant le gouvernement à la Walt Disney Company sont toujours remis en question au sujet des frais de gestion et de redevance alors que le resort affiche des résultats financiers négatifs depuis la première année d'opération (à l'exception de deux ou trois exercices comptables). Plusieurs membres ne sont pas satisfaits des "efforts" réalisés par The Walt Disney Company en cette situation financière défavorable. Un membre a souhaité connaître la part du montant financé qui serait concrètement dépensé à Hong Kong, Samuel Lau l'a rassuré, plus de 90 % du montant seront investis localement au profit d'entreprises et partenaires locaux. Samuel Lau a confirmé qu'à chaque nouveau produit proposé par le resort (attractions, spectacles, parade, personnages, saison Star Wars, produits dérivés etc...) la fréquentation et le revenu ont connu une augmentation sensible. Le directeur général du resort a également défendu les bénéfices que lui procurent les frais de gestion et de redevance comme l'accès à Star Wars, à Marvel qu'il peut utiliser sous différentes formes à Hong Kong Disneyland et les hôtels du resort. Certains membres s'interrogent sur la viabilité du projet global et l'intérêt de continuer à injecter de l'argent dans ce business déficitaire depuis le premier jour. Hong Kong Disneyland Resort est un puit sans fond. Plusieurs abondent en ce sens et suggèrent de se débarrasser de la participation dans l'entreprise Hongkong International Theme Parks Limited. S'en sont suivis de nouveaux débats sur les frais de gestion et de redevance et sur l'apport en matière de tourisme à la région. La phase II (deuxième parc à thème) a également été évoquée, celle-ci demanderait un investissement minimum de 40 à 50 milliards de dollars mais celle-ci ne serait pas développée avant 2024 (le projet sera examiné en 2020). La phase III (troisième parc à thème) ne sera discutée qu'après 2030 (les terrains, qui seront repris sur la mer, sont déjà "réservés" depuis 1999). Pour le moment, l'investissement se concentre sur le renforcement du premier parc en développant son contenu jusqu'en 2023. D'autres membres ne sont pas contre le fait que le gouvernement soit actionnaire majoritaire dans un business privé à condition d'avoir un retour sur investissement, ce qui n'est pas le cas depuis onze ans maintenant. Peut-être serait-il dès lors effectivement avisé de se retirer de l'entreprise ? On questionne Samuel Lau sur le choix du land inspiré par La Reine des Neiges, celui-ci répond qu'il s'agit tout simplement de la franchise qui produit le plus de résultats que ce soit avec les produits dérivés, les rencontres avec Personnages etc... Et ce succès est observé dans les autres resorts Disney à travers le monde. C'est également la raison du développement de la franchise Marvel dans le Parc, ainsi que l'introduction de la saison Star Wars. Il a également été fait part de la nécessité de continuer à apporter du contenu nouveau dans le Parc car ce facteur intervient grandement dans la motivation des visiteurs étrangers (issus des pays voisins du Sud-Est asiatique) à découvrir toujours plus nombreux Hong Kong Disneyland. Du contenu nouveau et si possible inédit renforce l'attractivité du resort aux yeux des étrangers dont 30 à 60 % (suivant le pays d'origine) ne pensaient pas visiter Hong Kong avant de décider d'aller à Hong Kong Disneyland. Le Ministre du Commerce et du développement économique ajoute que toute la ville de Hong Kong en bénéficie. Plusieurs membres approuvent l'exclusivité de la dernière attraction Iron Man dont l'histoire prend place au cœur de Hong Kong et souhaiteraient que la direction de Hongkong International Theme Parks Limited et les représentants du gouvernement négocient d'autres exclusivités avec The Walt Disney Company afin de se démarquer de Shanghai Disneyland et Tokyo Disneyland. Par exemple pour la future attraction Marvel prévue en 2023 à Tomorrowland. Concernant le land inspiré de La Reine des Neiges, Samuel Lau dit ne pas connaître les plans de Shanghai et Tokyo, il ne peut pas affirmer que ce land ne serra pas dupliqué dans le futur à Shanghai Disneyland et/ou à Tokyo Disney Resort. Samuel Lau a répété que le but est d'augmenter la fréquentation mais aussi et surtout le revenu par visiteur (qui est déjà en hausse depuis plusieurs années). Plusieurs membres demandent de négocier au moins cinq voir dix années d'exclusivité pour Hong Kong Disneyland mais Samuel Lau évite la question, de même que le Ministre du Commerce. Plusieurs membres marquent leur mécontentement au sujet des terrains réservés à The Walt Disney Company pour le développement des phases II et III, ils ne souhaitent plus attendre des années encore avant de les voir utilisés. Certains membres demandent au Ministre du Commerce d'étudier la possible arrivée d'autres acteurs du secteur (des parcs à thème et autres attractions touristiques) à ces emplacements de choix. Après un total de quatre heures de réunion, les membres du Comité des Finances n'ont pris aucune décision et le financement du plan de développement 2018-2023 est toujours en délibération. Une majorité de membres du Comité ont demandé un ajournement et le report du vote de deux ou trois semaines afin d'obtenir des informations complémentaires de la part de Hongkong International Theme Parks Limited et du Ministère du Commerce et du développement économique et d'avoir le temps de les étudier. Le Comité des Finances demande également, durant cette période, de négocier de meilleures conditions avec The Walt Disney Company car dans les conditions actuelles le Comité des Finances du Conseil législatif ne votera pas en faveur du financement ! Ce parc va véritablement devenir très intéressant! Pour l'attraction ré-imaginée il me semblait avoir lu sur le forum que ce serait Philharmagic qui fermerait pour y mettre une version de Peter Pan's Flight. Merci pour ce long résumé ! C'est clairement une situation complexe, et on peut comprendre la réticence des membres de ce comité s'agissant d'investir autant d'argent public dans une destination touristique, même si l'éventuel retour sur investissement serait bénéfique pour l'économie régionale et pour les finances publiques. Bref, The Walt Disney Company devra faire des efforts pour les convaincre de réaliser ces investissements. Elle a peut-être atteint les limites du modèle de société choisi pour le resort de Hong Kong. La question ne se posera peut-être pas à Shanghai où le succès du resort semble être plus important et où l'organisation institutionnelle et politique est différente.